The Pompeiianum is located on the slopes above the river Main, a few hundred meters west of Johannisburg Palace in the palace garden. Inspired by excavations in Pompeii, King Ludwig I had idealized this replica of a Roman Villa 1840-1848. The Roman Villa was object of reference that would enable lovers of art to study classical cultures in Germany. On the ground floor, receptions and guest rooms, kitchen and dining rooms are arranged around two inner courtyards, the atrium with its fountain and the verdant viridarium at the rear of the building. The villa accurately shows how the interior of a Roman villa would be laid out and the colorful paintings that would typically adorn the walls. 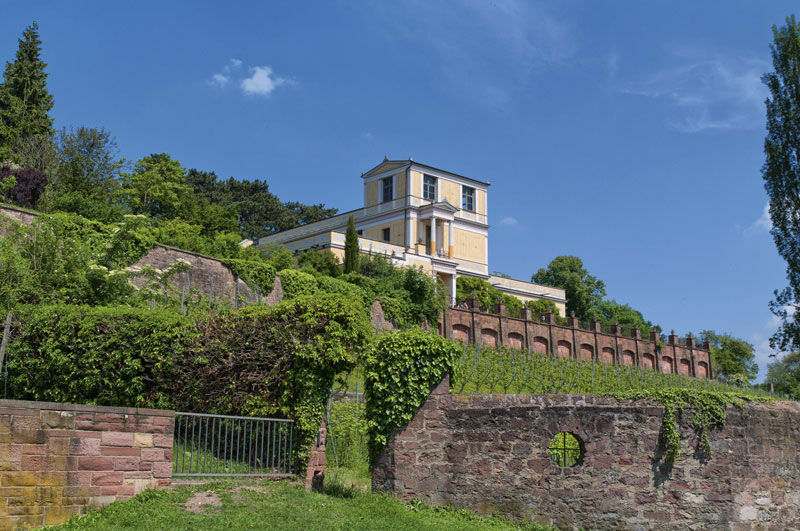 Only as a concession to its scenic location architect Friedrich von Gartner added an outside staircase to the first floor and an observation pavilion above it. The Pompeiianum was severely damaged during the Second World War but has undergone several phases of refurbishment since 1960 and is now completely restored. Since 1994 it has been used to exhibit original Roman works of art from the holdings of the State Antiquities Collection and the Glyptothek Museum in Munich. The Pompeiianum is surrounded by a Mediterranean garden, which was also established in the mid-19th century.